This 100% cotton Children’s Fire Engine Play Tent is bright and bold. 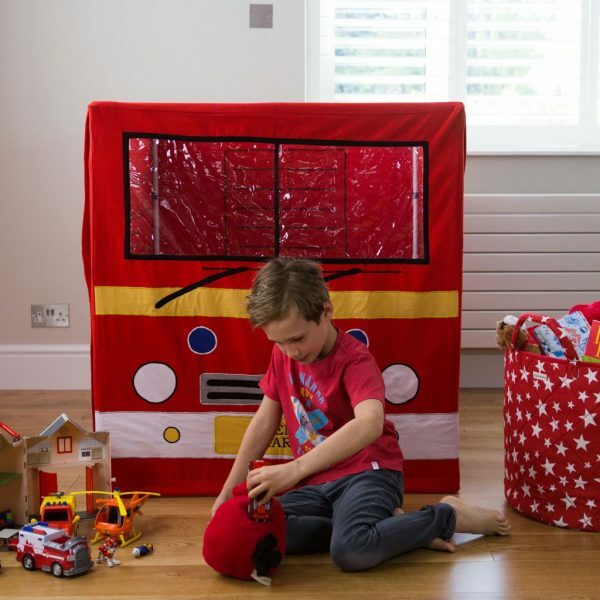 It has authentic fire engine design details that both girls and boys will love this Christmas. 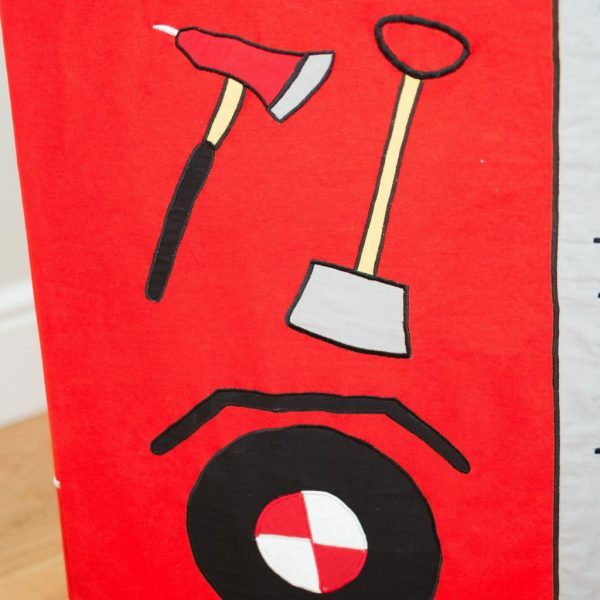 Hand embroidered and appliquéd wheels, lights, fire tools, ladder and a fire hose will spark imaginations, encouraging hours of creative play. 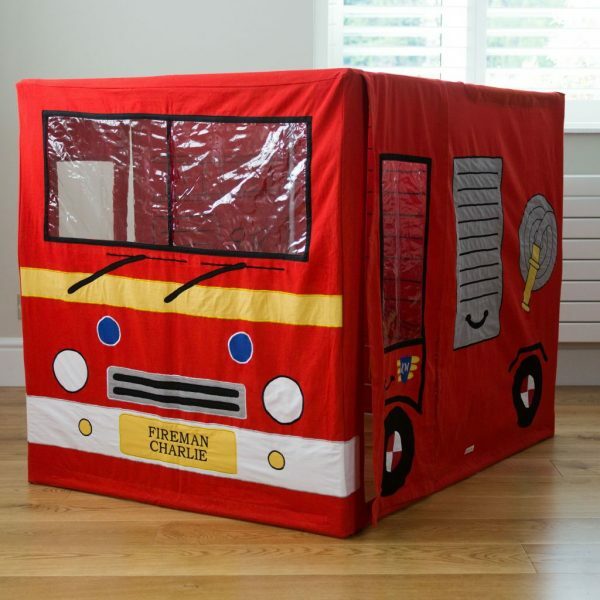 The fire engine play tent has a door on either side with soft PVC windows and a large, soft PVC front windscreen. 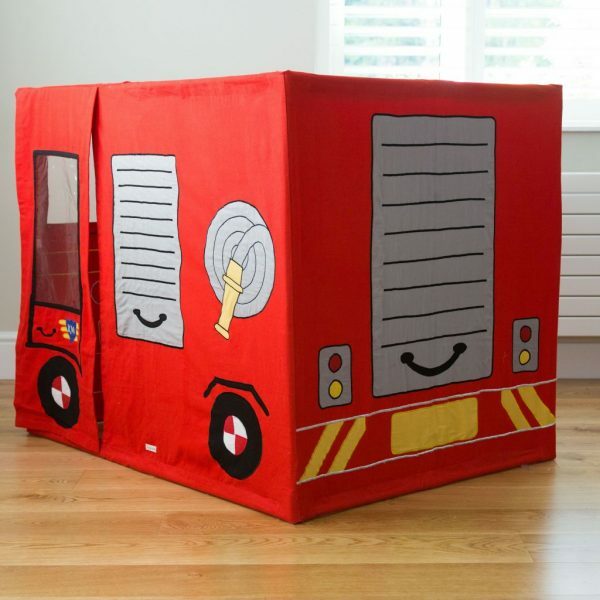 The roof covers half of the fire engine to provide a hideaway or driving area and the rear has been left open to enable hours of interactive play, putting out pretend fires. 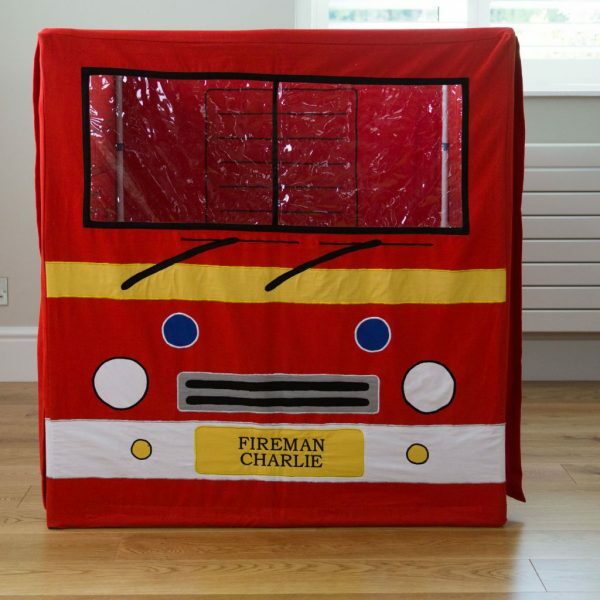 To make it extra special you can personalise the Fire Engine with your child’s name or a phrase of your choice. 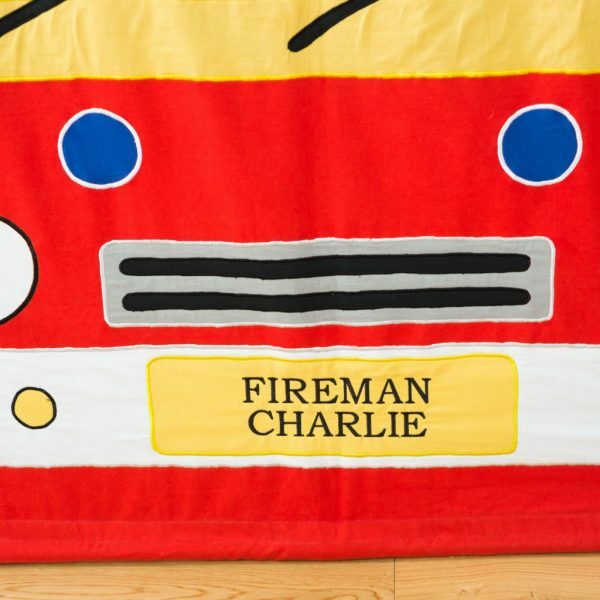 This will be beautifully embroidered onto the front number plate; for example FIREMAN CHARLIE. 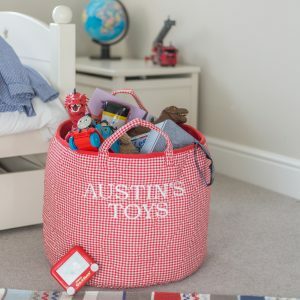 Comes in its own 100% cotton carry storage bag. 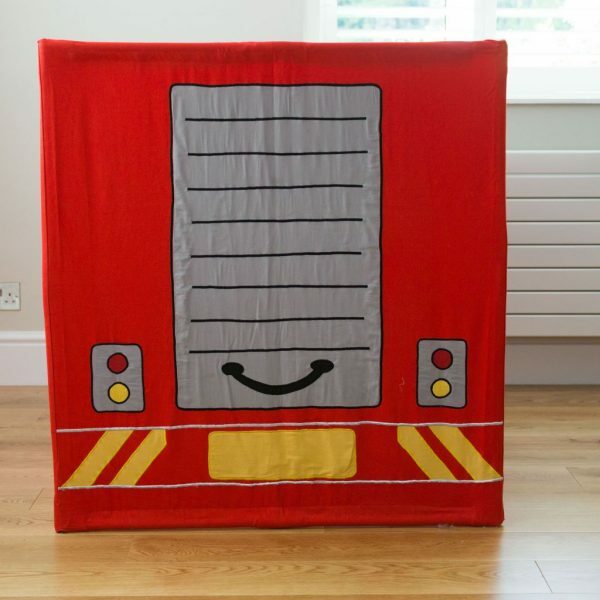 Please contact us if you would like a free swatch sample of the fire engine fabric. 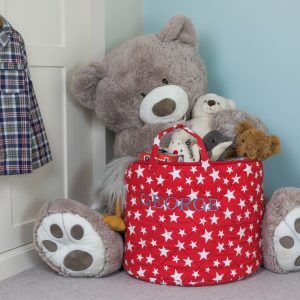 You will be able to feel the thickness of the heavyweight cotton we use, see the level of embroidery detail and the actual colours. 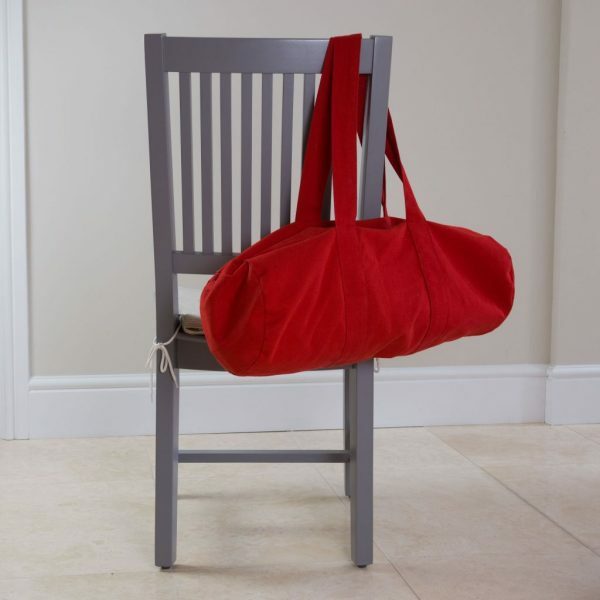 Don’t forget to include your address in your email and we will get your swatch on its way to you. 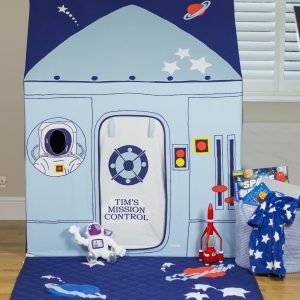 Hand embroidered and appliquéd design details are featured on all four sides of the play tent making it a stunning toy from every angle. 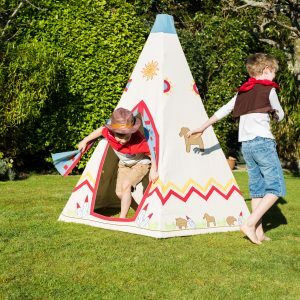 A door is featured on either side of the play tent for easy access. 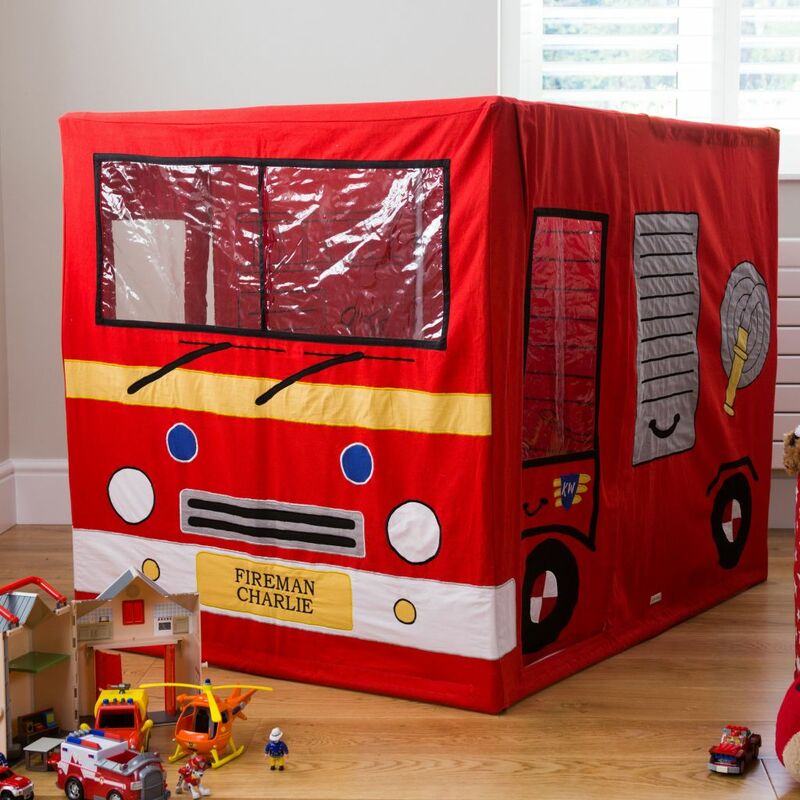 Soft PVC windscreen and side windows. 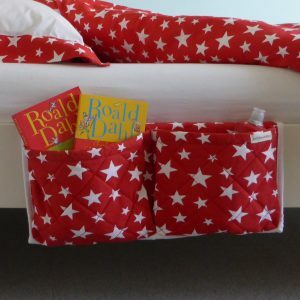 This product is now available in our NEW Medium Size – perfect for all sized rooms and large enough not to be outgrown!